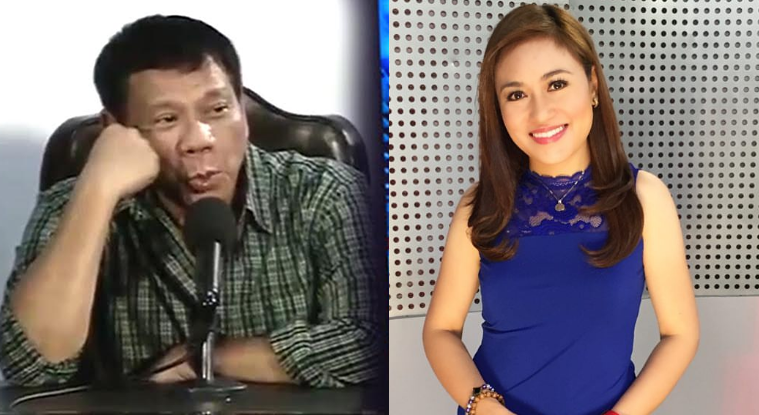 MANILA, Philippines - President-elect Rodrigo Duterte believes that there is nothing wrong with his act of whistling at GMA News reporter Mariz Umali in a press conference on Tuesday, May 31 at Davao City. In attempt to discuss the issue during a press briefing on Thursday, June 2 at Davao City, Rappler reporter Pia Ranada Robles read a portion of Davao City’s Women Development Code Ordinance that tags “cursing, whistling, or calling a woman in public with words having dirty connotations or implications” as a form of sexual harassment. “Sir, your own law says that there is a limit to expression,” Pia replied. Duterte explained that whistling will only be a form of sexual harassment if “you go overboard and start to harass the woman”. After emphasizing that Robles can’t stop anybody from whistling, Duterte asked the reporter who gave her the right to presume that he was whistling because he saw her. “So, Sir, you’re saying you were not whistling at Mariz during the time she asked her question?” Robles asked. “Of course not. That is, ano, objective, or is it subjective? Subjective?” Duterte replied. Robles then pointed out that Duterte replied to Umali’s question with a whistle.